The iconic EMG 81 humbucker is one of their most popular pickups, utilizing powerful ceramic magnets and close aperture coils, the tone was designed with detailed intensity, incredible amounts of high end cut and fluid sustain. Traditionally used in the bridge position of your guitar, the 81 makes your leads slice right through even the densest mix, when used in both neck and bridge positions (Kirk Hammett's go to) the sound can only be described as blistering. One of the most popular rock and heavy metal set ups is the 81 paired with the 85 in the neck, but it pairs equally well with a 60 in the neck for a versatile combo (James Hetfield's traditional set). 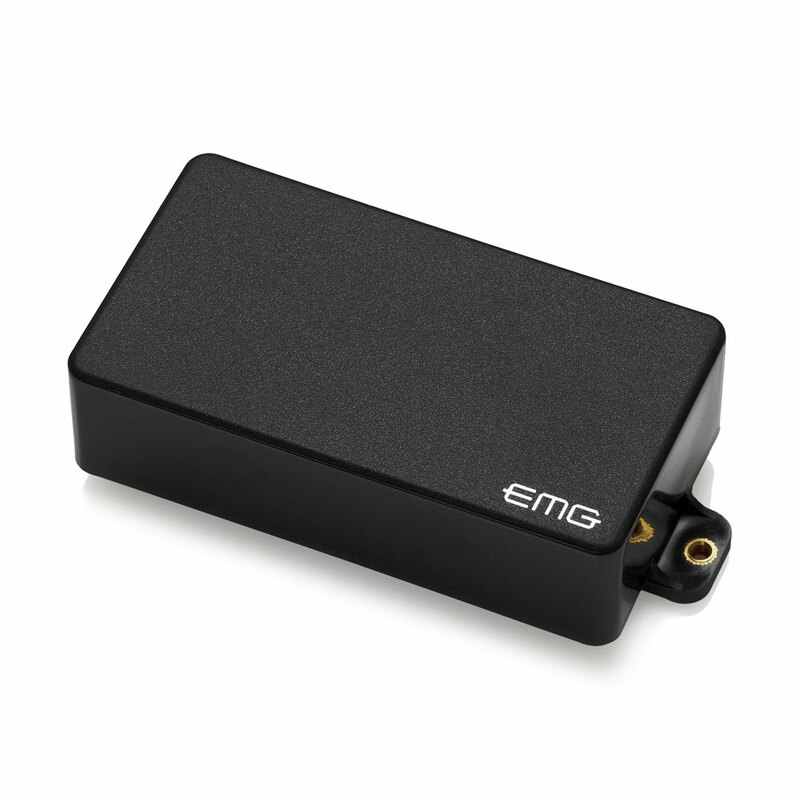 The EMG 81 pickup features their solderless system for quick and easy installation, it comes with everything you need including a 25k volume and a 25k tone pot, stereo output jack, battery connector and all required connector wires (pickups can be soldered if required).